The world’s largest culinary film festival is taking its show ‘down south’. For four nights, Devour! 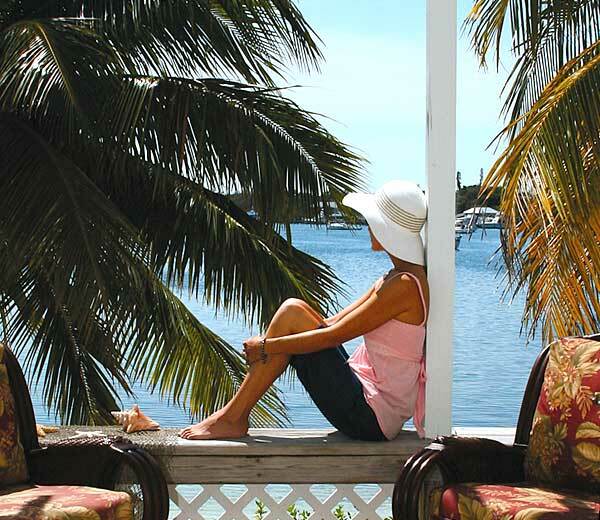 The Food Film Fest will set up shop at the beautiful Green Turtle Club Resort & Marina. Combining cinematic excellence with extraordinary gastronomic activities, Devour! organizers will treat guests to a VIP food and film experience with access to all Devour! the Beach events over the course of five days. Enjoy a transformative food and film winter getaway to this piece of paradise while being inspired to create a deeper connection to food. Scroll down for detailed info on the weekend and for individual event tickets! After training at one of the world’s most renowned culinary institutes, Le Cordon Bleu Paris’ Ottawa campus, in the GRAND DIPLÔME program, Angel Betancourt honed his craft alongside mentors such as Chocolatier Laurent Pagès, Chef Carles Mampel, Chef Nobu Matsuhisa, Chef Sara Tibbitts and Chef Jean-Georges Vongerichten. 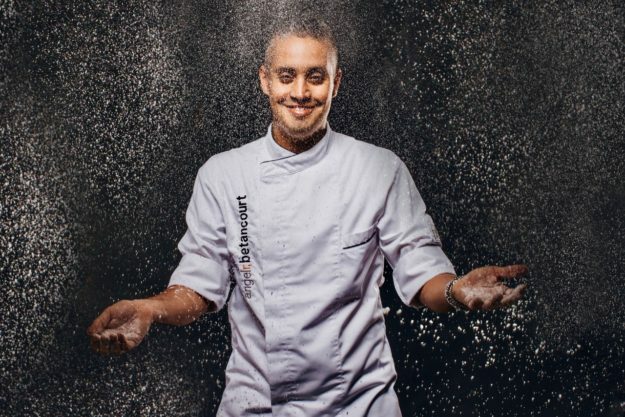 Chef Angel Betancourt, former Executive Pastry Chef of the uber-luxury resort One & Only Ocean Club and now current Executive Pastry Chef of The Ocean Club, a Four Seasons Resort, Bahamas. Betancourt has garnered international acclaim including attending L’École Valrhona in France in 2015 on behalf of the United States – an honor and privilege that is only given to rising stars and celebrated chefs. Betancourt is a member of Cercle V by Valrhona, a loyalty program for culinary professionals to exchange ideas, and was chosen to represent the Bahamian Culinary Team in the highly competitive Taste of the Caribbean where he won two silver medals for Caribbean National Team of the Year and Caribbean Pastry Chef of the Year. Born in Leicestershire, England, and raised in Montréal, Michael has been cooking for over 30 years on three continents. During this time, he’s worked at some of the world’s finest hotels including the Windsor Arms Hotel (Toronto) and the Oberoi (Bali), an exclusive five-star facility voted the world’s best boutique resort by Leading Hotels of the World (2002) and listed on Condé Nast’s “hot list” while he was present. Among his many career highlights, Chef Blackie held Executive Sous Chef and Acting Chef positions at the prestigious and world-renowned Mandarin Oriental in Hong Kong, China. In 2003, Michael returned to Canada and was the opening executive chef at Brookstreet Hotel (Ottawa), which after just three months under his leadership, the property was awarded the prestigious four-diamond rating from CAA. 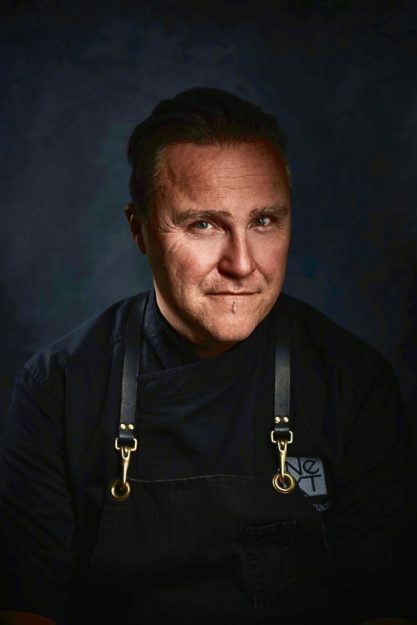 In 2009, Michael joined the National Arts Centre as the Executive Chef and Director of Food & Beverage, one of his achievements was delivering the highest revenue for the NAC food and beverage division in its 30 years of operation in 2012. In 2011, Michael was the host of the Canadian Food network show Chef Off!. In 2018, Michael was part of team iron chef Lynn Crawford on Iron Chef Canada. Currently Michael is the owner and chef of NeXT located in the west end of Ottawa. NeXT is continually recognized as a leader in the region for its innovative cuisine along with its sharing menu concept. NeXT is also the home of chef Blackie’s monthly series 3 Chefs 1 Dinner which showcases the talents of visiting chefs from across North America. Clay Carnes is one of South Florida’s hottest culinary commodities. Bringing cutting-edge Latin street-food to the foodie-faithful as Executive Chef & Owner of Cholo Soy Cocina, Clay is known for tantalizing his audiences with Andean-American selections crafted from freshly-milled organic, non-GMO white corn tortillas, locally-grown produce and top-quality meats and ingredients. Prior to this, Clay spent some time in Cuenca, Ecuador, where he led the team at boutique hotel, Mansion Alcazar before returning home to Florida to open The Grille and become Executive Chef of The White Horse Tavern. 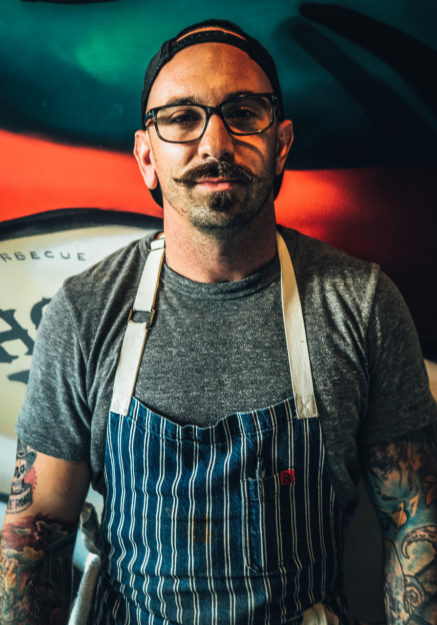 Known for his eclectic Italian, Mediterranean, Latin and North American cuisine, Clay rose to food television fame as Food Network’s Cutthroat Kitchen: Time Warp Tournament Champion in 2016. 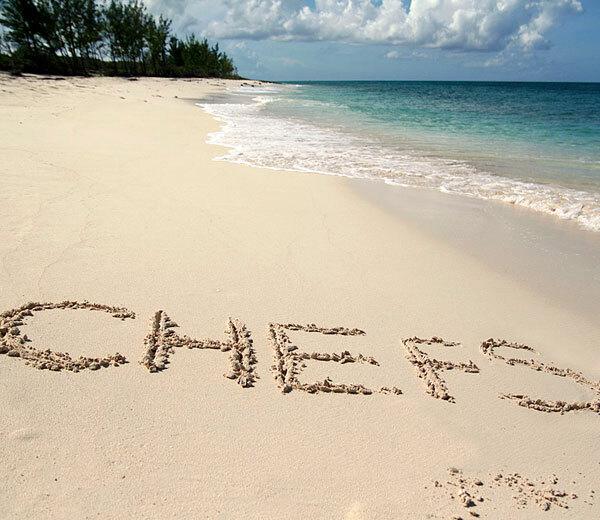 Chef Tim Tibbitts was born in Nassau, Bahamas and grew up in the suburbs of Toronto, Canada. The ethnic diversity of Toronto has always played a large part in his culinary style having spent much of his youth in the ethnic communities of one of the most multicultural cities in the world. Tim enrolled in the Canadian apprenticeship Program at Toronto’s famed George Brown College, School of Culinary Arts. There he learned the basics of classic European cuisine. It was at this time that Tim developed his respect for great ingredients and technique that is still the hallmark of his style. 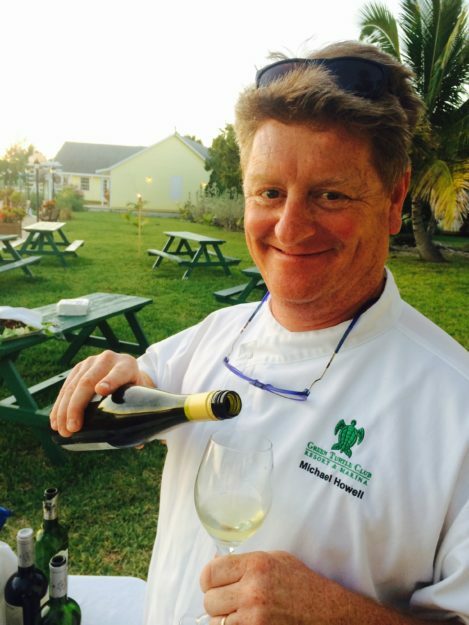 In February 2012, Tim realized a dream by opening his own restaurant, Flying Fish, in Freeport, Grand Bahama. Flying Fish was the only restaurant in the Bahamas at that time using modernist techniques to explore the flavors of the Caribbean. Local products are used in various ways exploring all the ethnic influences of Chef Tim from around the world. 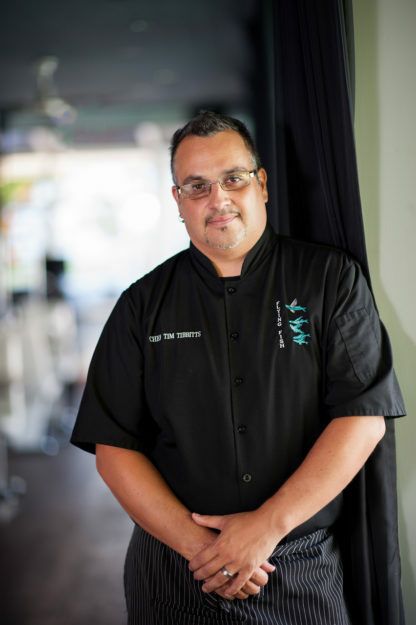 Chef Tim was named one of the Top 25 Chefs of the Caribbean in 2014. Flying Fish was named the #2 restaurant in the Caribbean by TripAdvisor. Flying Fish has been named in the Top 10 in the Caribbean by Caribbean Journal 5 times. Flying Fish was also awarded a 4 Diamond rating by AAA 4 times making it only the third restaurant in Bahamian history to achieve this honor and the first in Grand Bahama. It was named one of the Top 101 restaurants in Central America, South America and the Caribbean by The Daily Meal and was named one of the best restaurants on earth by French guide book. He is the founder and Executive Director of Devour! The Food Film Fest and sits on the board of Slow Food Nova Scotia. Michael was also co-chair of Slow Food Canada and former President of the Restaurant Association of NS. He is the recipient of the Queen Elizabeth II Diamond Jubilee Medal and is a Slow Food Canada Local Food Hero for his contributions to the food movement nationally. He has twice won the coveted Nova Scotia Crystal Tourism Award for contributions to tourism. Michael is a graduate of Dalhousie University and the Cooking and Hospitality Institute of Chicago. Annually, Michael hosts food and wine inspired travel to Italy through Tempestuous Culinary Inc.
At just 16 years of age, Rebecca started her life-long career at a small seaside bistro. That time marked the beginning of her journey into building a service style that has become her trademark. Inspired by learning, training with the International Sommelier Guild seemed the natural next step for Rebecca. 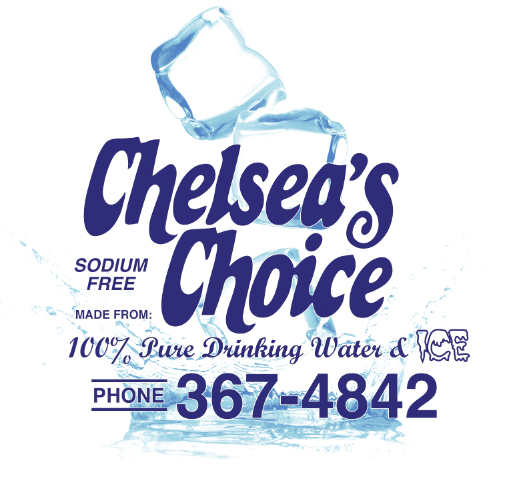 With that, she delved into a new and exciting sector of the food and beverage industry. Years of training and tasting have made Rebecca’s wine pairings an integral part of her service. 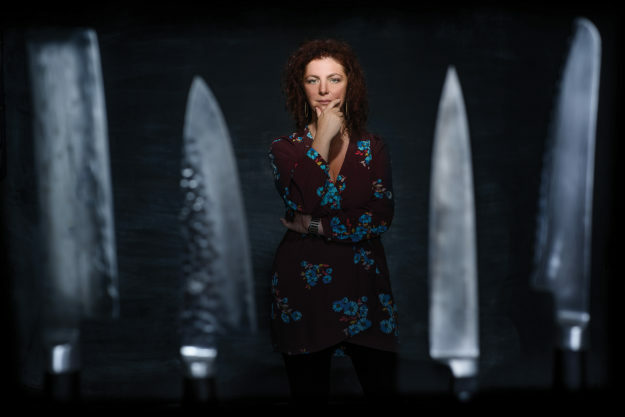 In February 2012, Rebecca realized her lifelong dream of opening her own restaurant with the launch of Flying Fish with her husband, award winning Chef Tim Tibbitts. Flying Fish has been awarded 4 Diamonds by AAA four times, largely in part of the exquisite service Rebecca has implemented. 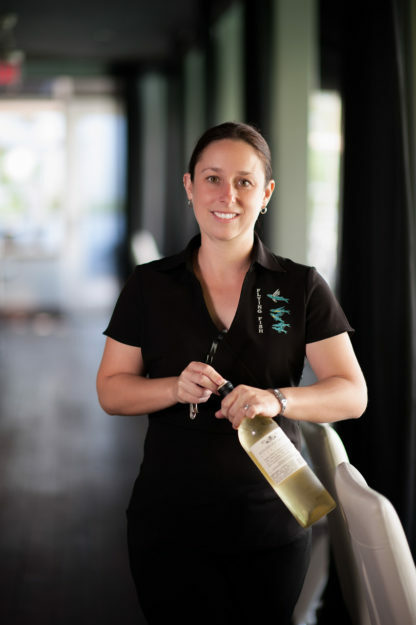 Rebecca is the only certified Sommelier in Grand Bahama and the only female certified Sommelier in the Bahamas. Her ability to perfectly and creatively pair to Chef Tim’s food makes the wine pairing options at Flying Fish second to none. In 2017, Rebecca along with her husband, Chef Tim Tibbitts created a wine import company: Sea Gate Wines. The three flagship Sea Gate Wines-Austrian grapes made in conjunction with 5th generation winemaker Franz Bayer started their collection. Today, Sea Gate Wines is the official importer of over 40 highly curated wines to the Caribbean. With a 30-year career in the film industry and a passion for food culture, Lia Rinaldo knew she’d found a perfect combination in Devour! The Food Film Fest. Starting in the movie business as a bright-eyed teenager, she honed her skills at Wormwoods Dog & Monkey Cinema, and later brought her considerable know how to the Atlantic Film Festival. Her interest in the culinary industry and enviable communication skills led her to a second career as a freelance food and travel writer for Halifax Curated Magazine,Occasions Magazine, North American Traveller among other publications. A member of the International Food, Wine & Travel Writers Association, Lia also provides culinary marketing, social media, PR and fundraising consulting services throughout Nova Scotia. Lia has been repeatedly recognized for her exceptional contributions to the promotion of culture and the culinary arts. She has been honoured with the Tourism Industry Association of Nova Scotia Crystal Tourism Award of Excellence – Ambassador Award, theTaste of Nova Scotia Gary MacDonald Culinary Ambassador Award, the Progress Women of Excellence Award in Arts & Culture and has twice been named to the Chronicle Herald Arts & Life Honour Roll. To buy individual event tickets, contact the Green Turtle Club at 1-866-528-0539 or email info@greenturtleclub.com. Join us! 12:00 pm Culinary Demonstrations: How to Cook Fish Perfectly – Learn how to make the perfect grilled fish and two other fish preparations from our guest chefs. Three small tastes of perfectly prepared fish. 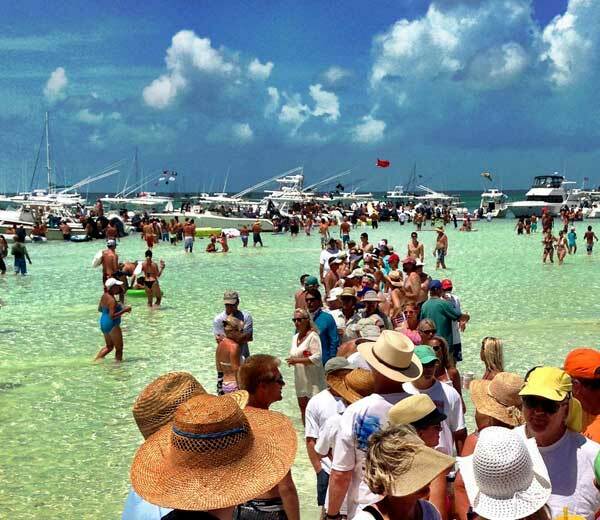 11:00 am – 4:00 pm Party Boat island hopping to feed Swimming Pigs on No Name Cay and Munjack Cay to feed wild stingrays and sharks. Fresh caught fish tacos served on the beach for this adventurous lunch. 9:00 am – 11:00 am Celebrity Chef Departures. Optional add-on of extra days for fishing or diving trips. Includes All-Access Pass to every Devour! The Beach Event, VAT & all Gratuities. 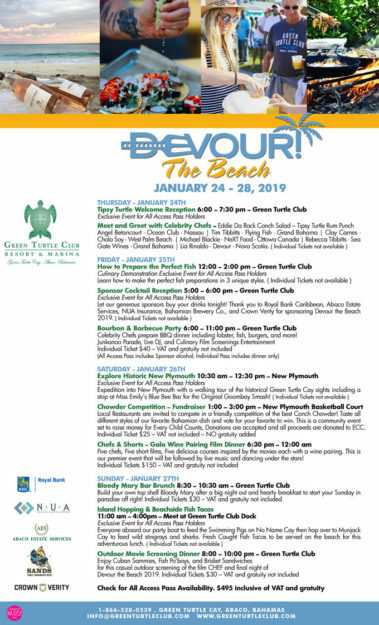 Includes Waterfront or Club Room accommodation based on double occupancy, inclusive of all service charges and taxes.Space is limited so call or email the Green Turtle Club to secure your Devour! The Beach spot now. Club staff is happy to facilitate travel to this special destination. Combining cinematic talent with extraordinary culinary and wine creations, Devour! The Food Film Fest is the world’s largest festival focused on food and film. Taking place in the culinary epicenter of the province of Nova Scotia, the ninth edition of Devour! is slated for October 22-27, 2019.